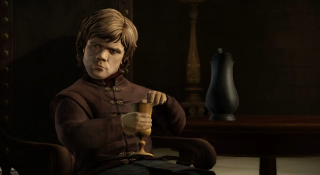 The first look at Game of Thrones: The Lost Lords, the second part of Telltale's adventure adaptation, is here, and it doesn't look like life is going to get much easier for the Forresters anytime soon. I don't want to spoil anything for those of you who haven't yet played part one, Iron From Ice, so I will say only that it opened with the forces of House Forrester getting ready for a big party with the Starks at the Red Wedding. Things unfolded from there pretty much as you'd expect, concluding in a fashion that I honestly did not see coming—although, given the subject material, probably should have. In any event, Iron From Ice was a really strong start to the Game of Thrones adventure, and I very much hope that The Lost Lords will raise the bar even higher. Look for it to hit Steam on February 3.